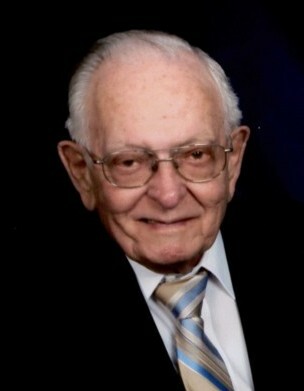 Samuel Forrest “Sam” Bryson, Jr., age 91, resident of Somerville, Tennessee and husband of Linda Bryson, departed this life Sunday morning, April 14, 2019 at Baptist Reynolds Hospice House in Collierville. Funeral Services for Mr. Bryson were held at 2 P.M. Wednesday, April 17 at the Peebles Main Funeral Chapel in Somerville. Dr. Walter Jackson of Altamonte Springs, Florida officiated. Interment with Masonic Rites followed in the Somerville City Cemetery. Sam was born November 18, 1927 in Somerville, Tennessee, the son of the late Samuel Forrest Bryson, Sr. and Ruby Dunn Bryson. He was a graduate of Fayette County High School and was employed as a plant manager with Coca-Cola for many years before his retirement. He was a longtime resident of Somerville and a member of Somerville First Baptist Church. Sam was a 60-year member of the Somerville Masonic Lodge #73 and enjoyed showing horses and participating in the Field Trials at the Ames Plantation. Mr. Bryson is survived by his wife who he married September 26, 2009, Linda Wilson Bryson, a longtime resident of Memphis, TN; his stepdaughter, Linda May (Steve) of Winter Springs, FL; his granddaughter, Robin Rye (David) and their children, Meredith, Ethan, Wilson; his grandson, Stephen May (Nancy) and their children, Joshua, Daniel; many nieces and nephews; and close family friends, Greg and Tommie Lynn Tapp and their children, Allen Tapp (Anna), Hanna Tapp and Richard Tapp. He was preceded in death by his first wife, Bettye Morris Bryson who died January 12, 2006; his son, Carroll Bryson; his sister, Clara Jane Bryson; and four brothers, Calvin Bryson, Preston "Jack" Bryson, Raymond "Rip" Bryson and Lawrence Bryson. Those honored to serve as pallbearers were Greg Tapp, Ed Dennison, Preston Douglass, Ed Karcher, Hamblett Cooke, Melvin German, Jimmy Papia and Jimmy Jordan. The family requests that memorials be directed to Brinkley Heights Ministries, 3275 Rosamond Avenue, Memphis, Tennessee 38122.